Can I book lessons for my students on the platform, or will they have to book from my profile? Two ways of booking are possible through Tutor.id. 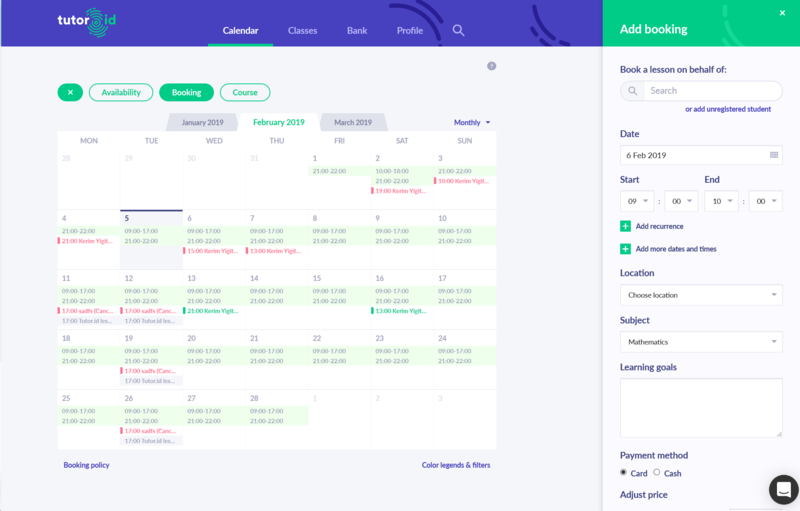 You can book lessons for your students on Tutor.id, or make your calendar available for your students to allow them to book a lesson directly from your calendar. To make a booking through your profile on the platform, go to Calendar > + > Booking. The below picture shows the steps that have stated.